Washington’s offense is overrated, they have Harper and Turner and that’s about it. Not too scared of them when Rendon and Eaton are out. Hes proven trustworthy so far so you start him. At least in 12+, dont bother with shallower leagues anyway. Hes had one rough start the rest were good. Why is there even a debate? I said the same thing when I started him against ATL. He has a couple good starts but he is nowhere near a must start vs every team yet. Hell he got shelled last outing and don't forget it should've been a lot worse had Odubel not wrangled in that FF HR out of the bushes in center field. He's a solid SIT today. I agree. Their offense is mediocre at best without Rendon and Eaton. If you aren't starting him today because of a "bad" matchup then I think you should re-think your decision. mixed results from da crowd it seems. lol . It's Friday, I'm down in counting stats and I need a solid start. I don't like the matchup but if I can't start him when I need to, then I'll move on. Come on kid give us a gem! Oh Well, he was fun while he lasted. On to the next bust. Thought I was picking up a strike thrower, just another loser. Not my year when I need guys like this to perform . I don’t know If you guys are watching but no pitcher worth rostering ever looks this bad. Good lord ... relax everyone. Yes Harper hit a couple dongs. Young SP with upside. Chill out. He’s been solid and there are good days to come. Did he drops his pants and trip over them after each pitch or something? The walks are the concerning part. This was his issue last year and now he's flashed control issues in back to back starts. I fear he's reverting back to his crappy ways. May have a drop here boys. It was nice while it lasted. I am holding. He had a meh game last week against Atlanta and got bombed today, but he was solid all season before these two games. Game is delayed!!! Fingers crossed it's cancelled before 5 IP. 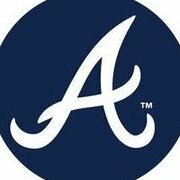 Folty gave up 6 six runs. He’s done. Drop. Last guys to give up 6 runs. He’s done. Panic panic freak out freak out.